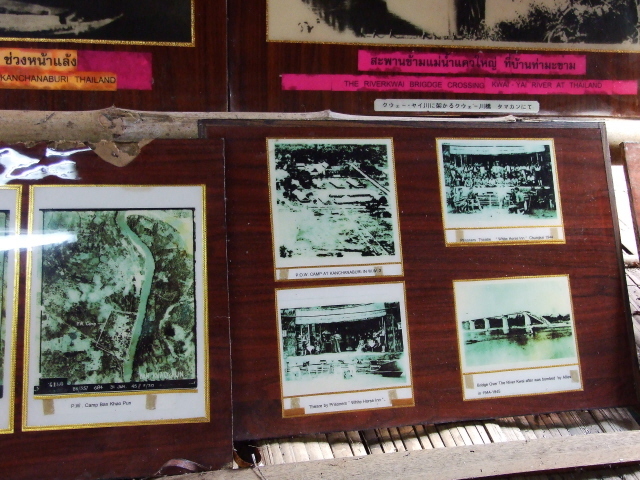 The oldest of all the Death Railway related museums in Kanchanaburi, Thailand. The strange name is an abbreviation that stands for: Japan, England, Australia/ America, Thailand and Holland – nations involved in the building of the Death Railway … but omitting the majority of the Asian forced labourers! More background info: for history and background info in general see the separate entry for the Death Railway. 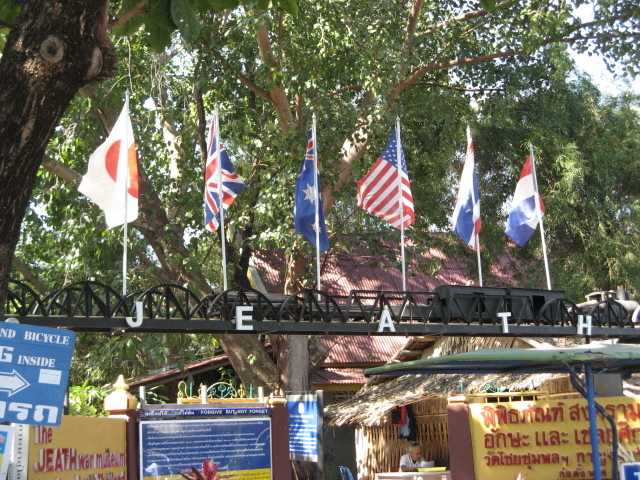 This is the original JEATH museum – to be distinguished from the Kanchanaburi World War II Museum closer to the Bridge over the River Kwai, which also sometimes uses the legend JEATH, but was established much later and is a jumbled mess (though entertaining for it). 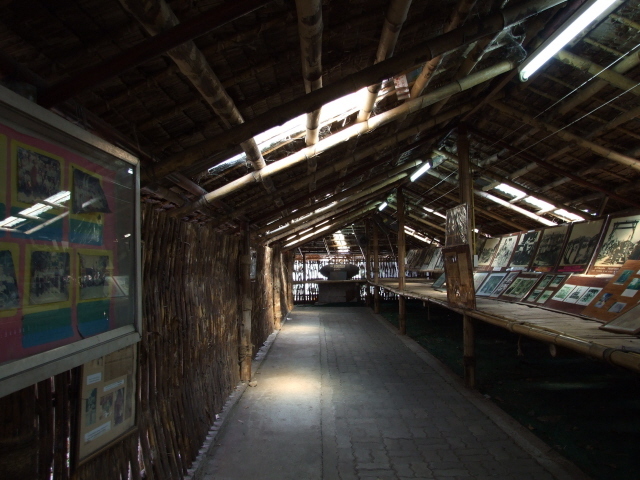 The original JEATH museum was founded in 1977 by the abbot of the Wat Chaichumpon temple complex. For many years it was the only place here in which the plight of the POWs working on the Death Railway was commemorated. And for that it deserves credit, even if by now it has been surpassed in quality and state-of-the-art-ness by the newer Thailand-Burma Railway Centre near Kanchanaburi War Cemetery and the Hellfire Pass Museum further north along the old railway line. The JEATH Museum may be a bit faded but is still worth a visit. 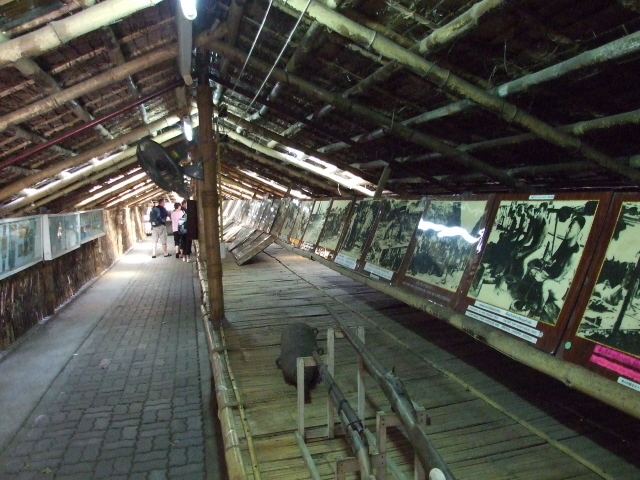 What there is to see: the museum consists mainly of two long bamboo huts, similar to those that the POWs forced to work on the Death Railway would have been housed in. 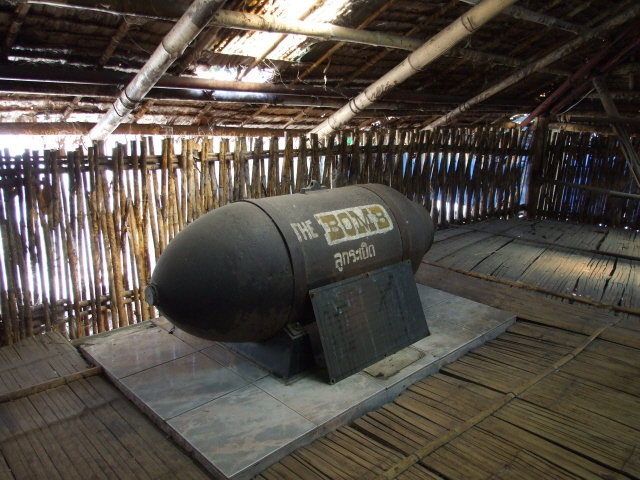 Exhibits inside are mostly blow-ups of old photos, paintings and newspaper clippings (mostly English and also a few in Dutch), augmented by a few artefacts – including a big shell of a bomb, allegedly of the type used by the US in the air raids on the Bridge over the River Kwai. Some of the paintings in particular are quite gruesome, esp. 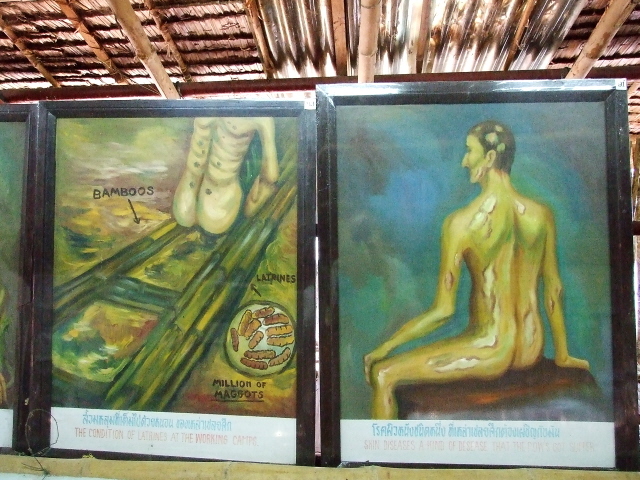 the detailed images of tropical ulcers and maggot infested sleeping quarters. Labels and short textual explanations accompanying various exhibits are in Thai and English (sometimes rather dodgy, esp. the spelling) and occasionally Japanese lines have been added too. Sadly, some of the photos, but also a few text clippings, are so faded and/or stained that it's difficult to make out what's on them or read it all. In a way that adds a certain decrepit charm to the place, though. You just hope that they'll get enough funds to preserve some of the exhibits before they become completely useless. The most interesting bits, I found, were the more recent newspaper clippings, some of which are about ex-POWs who've come back to the Bridge and the museum – and apparently not all of them appreciate the tourism hype that has grown around the Bridge and the Railway in particular. 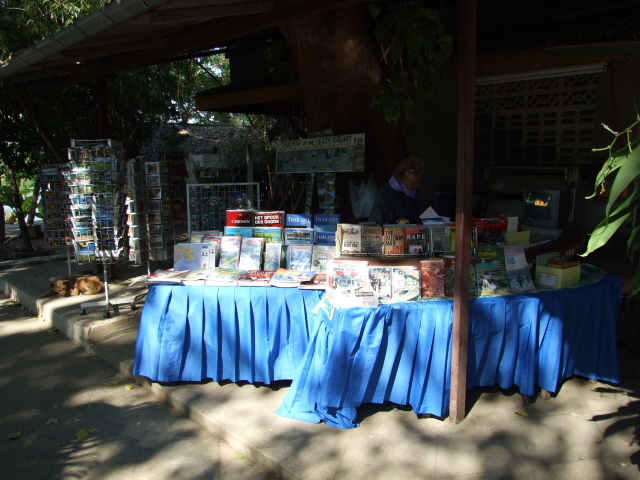 Outside the museum is a rather interesting book stall selling a range of information materials (with some overlap with the shop at the Thailand-Burma Railway Centre). Location: just to the west of the centre of Kanchanaburi, near the confluence of the Kwae Yai and Kwae Noi rivers, ca. 3 miles (4.5 km) south of the famous Bridge over the River Kwai in western Thailand. Access and costs: easy and cheap. 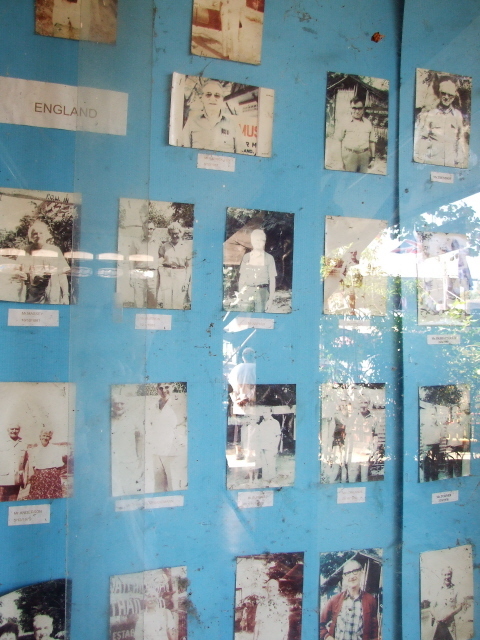 Details: the JEATH Museum is close to the centre of Kanchanaburi, within walking distance from the bus station. From the Bridge over the River Kwai it's about 3 miles (4.5 km) to the south-east, so when starting from there (e.g. if you've come on the Death Railway itself), then you may need a taxi or cyclo. 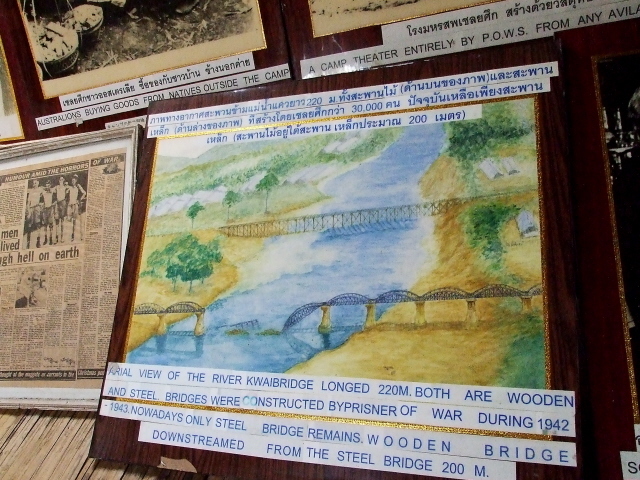 Don't get fooled and be directed to the Kanchanaburi World War II Museum (which also sometimes uses the designation JEATH) which is much closer to the Bridge. That may be worth a look too in its own right (but more for its weirdness) but it is certainly not the original JEATH Museum. This, i.e. the real thing, is part of the Wat Chaichumpon temple complex further south. Opening times: daily from 8:30 a.m. to 4:30 p.m.
Time required: roughly 45 minutes. More if you want read every single text on display in full detail. Combinations with other dark destinations: see Kanchanaburi. Combinations with non-dark destinations: see Kanchanaburi.